Had a friend ask about SQL database Role Memberships that are needed for SharePoint Server on-premise. Examined SQL roles on my dev farm. Reference table below. 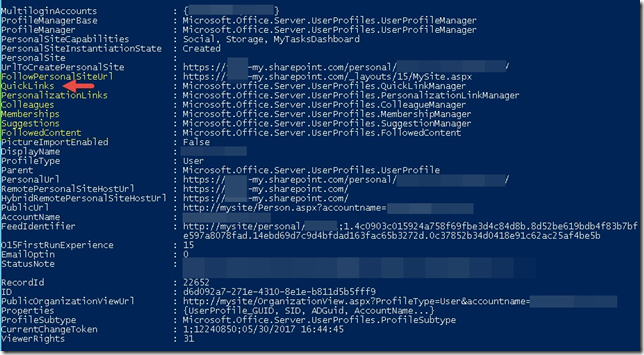 When migrating from MySite on-premise to OneDrive in the cloud, Quick Links are not included by third party utilities (i.e. ShareGate). However, with PowerShell we can export the original raw CSV data and provide a list of links to end users. They can bookmark or add to Office 365. Tried of waiting for Backup-SPSite / Restore-SPSite? Me too. 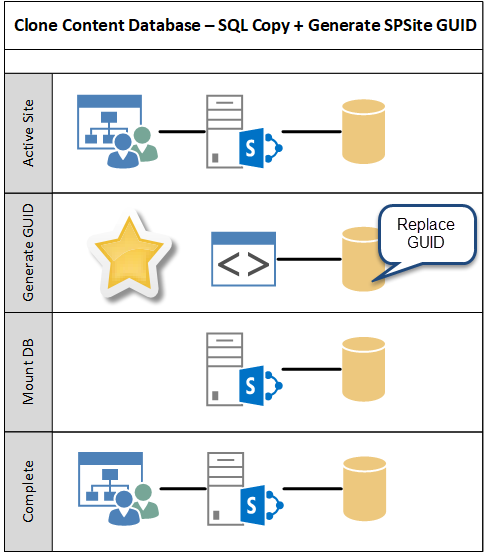 Why not clone the SQL content database with SQL backup and restore? Well, SharePoint requires every Site Collection on a given to have a unique GUID. When we clone a SQL content database and attempt Mount-SPContentDatabase an error comes up that the GUID already exists on the local farm. No bueno. Why not generate and replace the GUID? In theory, we can UDPATE the SQL database internally with fresh new GUID numbers and SharePoint would recognize as new site collections. No conflict. That is exactly what the PowerShell below does. By walking the schema, finding “SiteID” and “tp_SiteID” columns, and replacing the old GUID with a new GUID. The larger the site collection, the better this works on time savings. 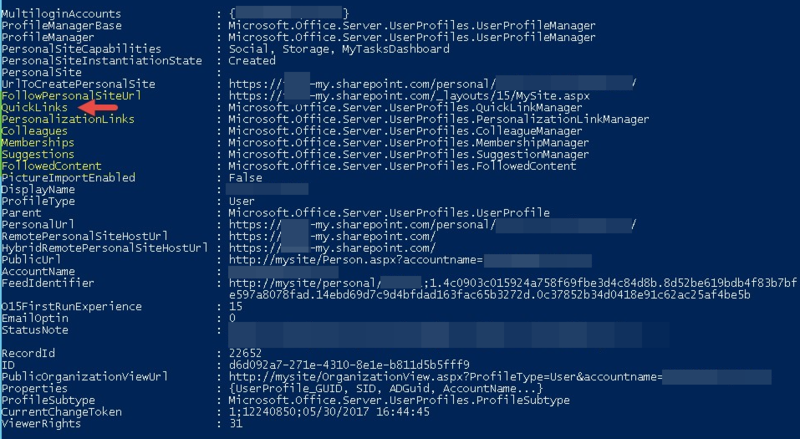 SQL internally can backup and restore a database much faster than waiting for Backup-SPSite/Restore-SPSite to export/import binary data across the wire to the SharePoint front end file system. In the example below you can see a brand new team site created with GUID “82dad5a8-aa6e-4480-a10e-16cd2597c18b” in a dedicated SQL content database, taken offline, updated with PowerShell to replace old GUID with new GUID “0f59c302-92ea-4fac-b32b-799f3dd41264” and then successfully consumed again. NOTE – You still need a unique URL, so be sure to run Mount-SPContentDatabase against a secondary web application. NOTE – This is completely unsupported. Use at your own risk. Worked well on Dev and Test environments for me. While troubleshooting an error with Excel Web Access I found recycle wasn’t sufficient and IISRESET was needed. However, this raised questions about daily scheduled IIS recycle and if that would be enough to give a stable IIS footprint each business day. 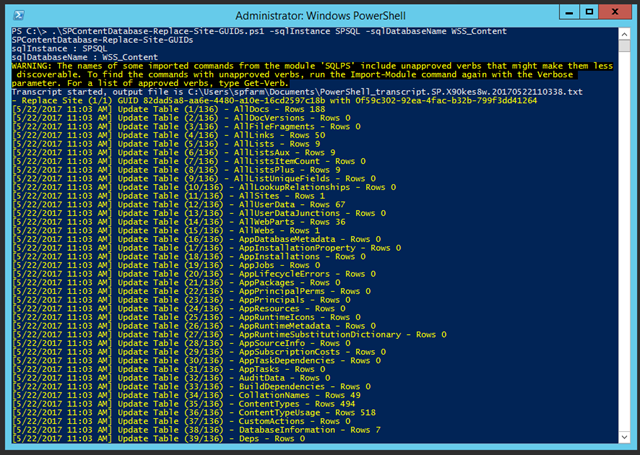 I decided to err on the side of caution and schedule a full IISRESET along with code to ensure all sites and pools started up again OK. PowerShell below. Also, I would recommend installing SPBestWarmUp (http://spbestwarmup.codeplex.com) by running “spbestwarmup.ps1 –install” This creates a Scheduled Task repeating every 15 minutes to simulate user traffic and keep those IIS pools responsive for end users. 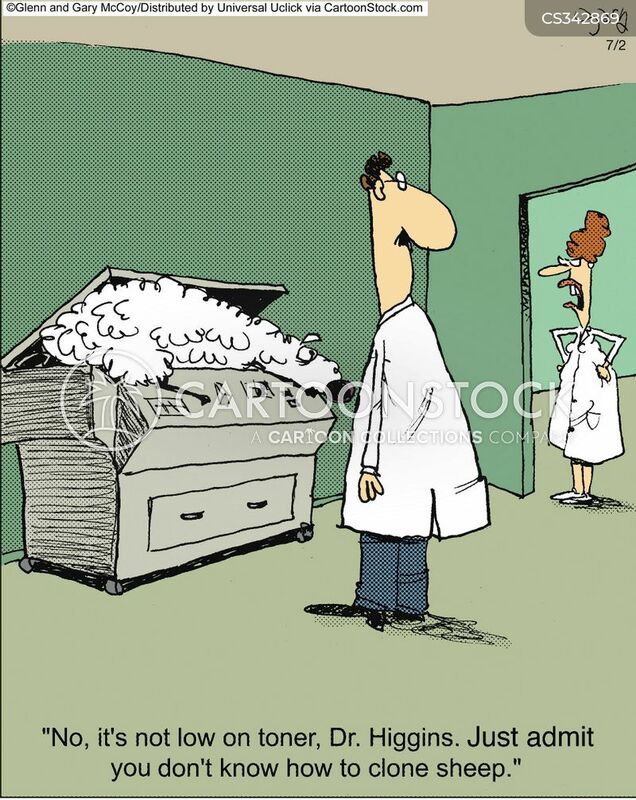 No more wait on first visit. 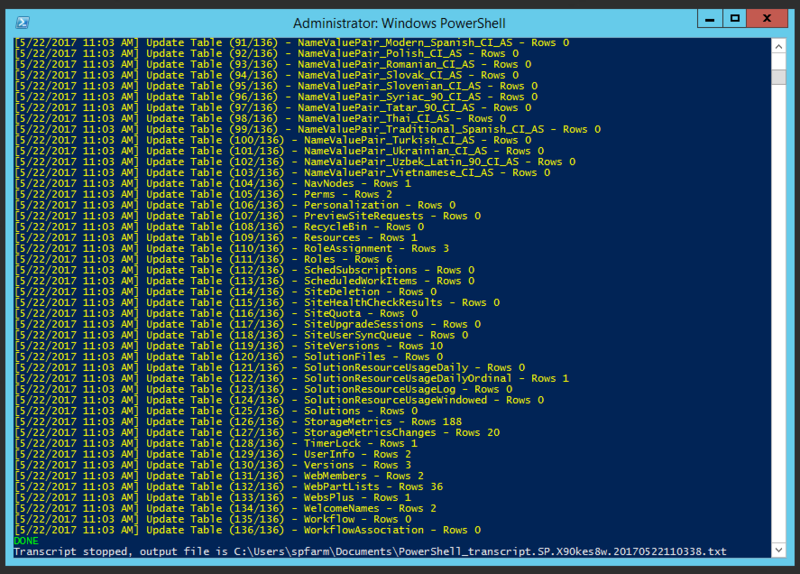 It even warms up Central Admin to help out SharePoint admins.